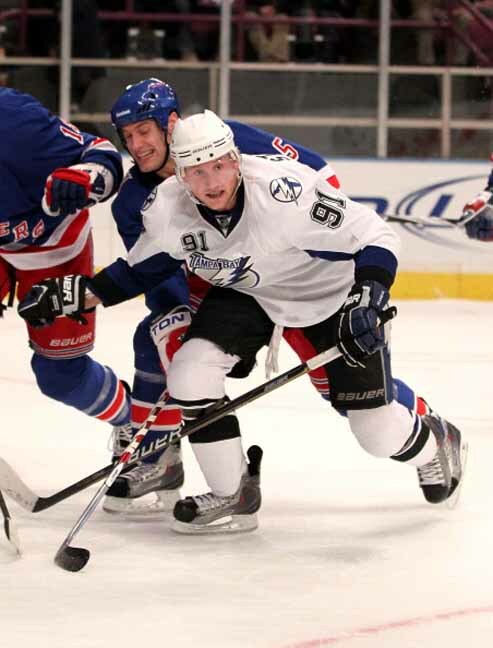 This road white air-knit gamer by Reebok was worn by Steven Stamkos during the 2010-11 NHL season. 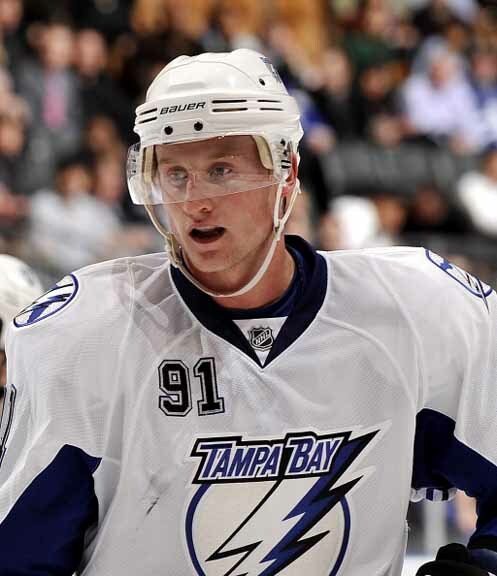 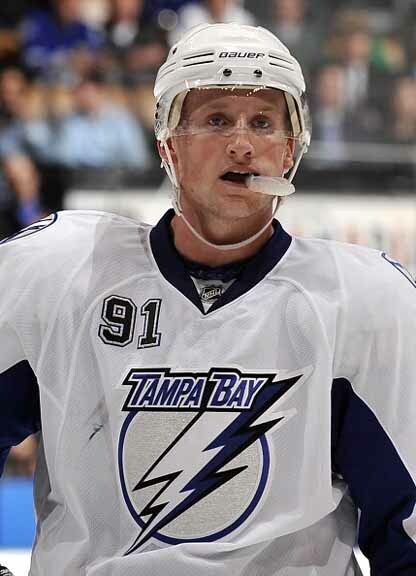 The Tampa Bay Lightning selected Stamkos with the first overall pick in the 2008 NHL Entry Draft. 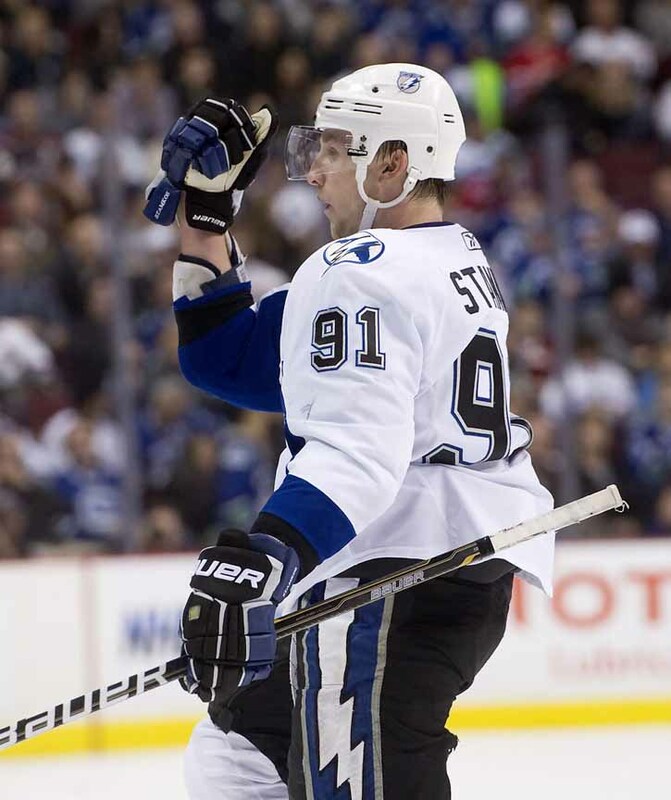 This Ontario native has lived up to the hype and is already looked upon as the NHL’s premiere goal scorer. 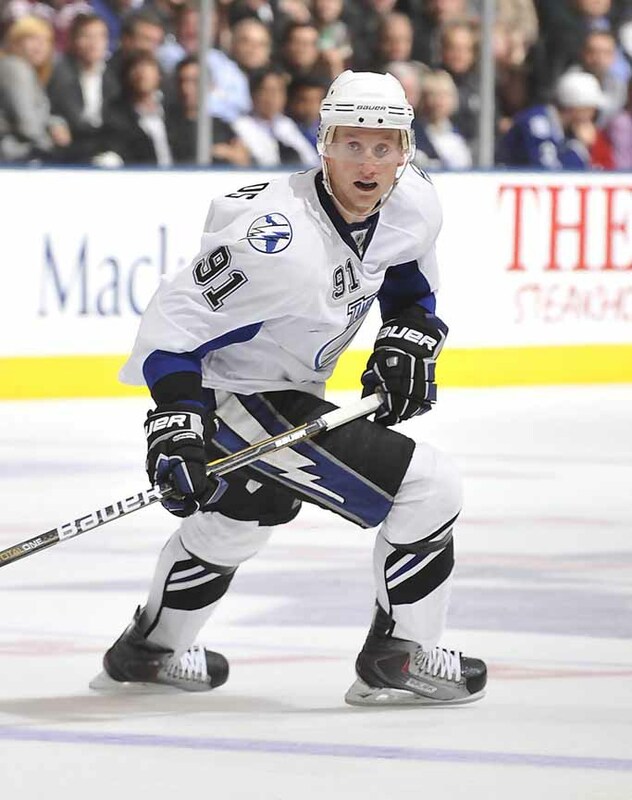 Stamkos, who missed significant time due to injury last year, has played in 410 games thru his first 6 seasons in the league. 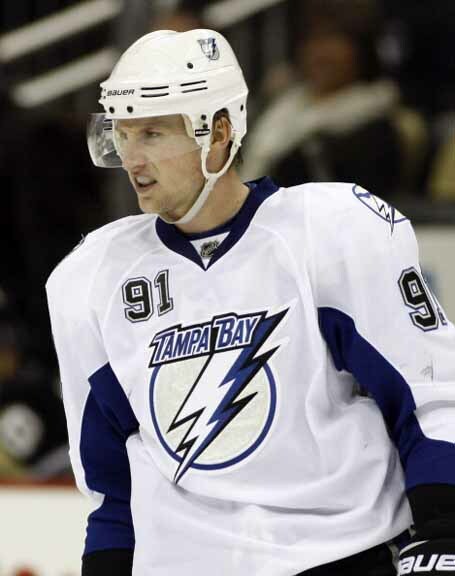 During that time he has recorded 233 goals that include impressive single season totals of 60 and 51, earning him the 2010 and 2012 Maurice “Rocket” Richard Trophy’s as the NHL’s goal scoring leader. 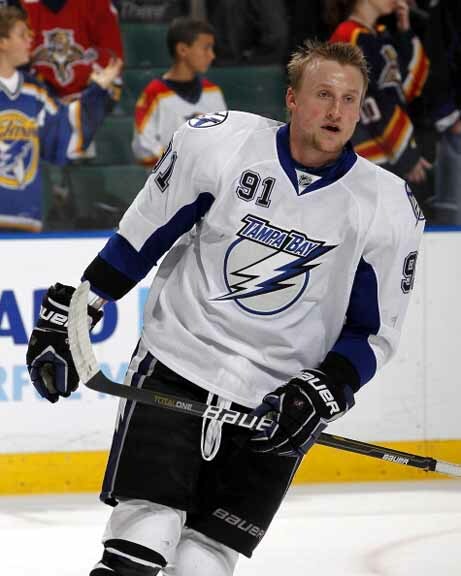 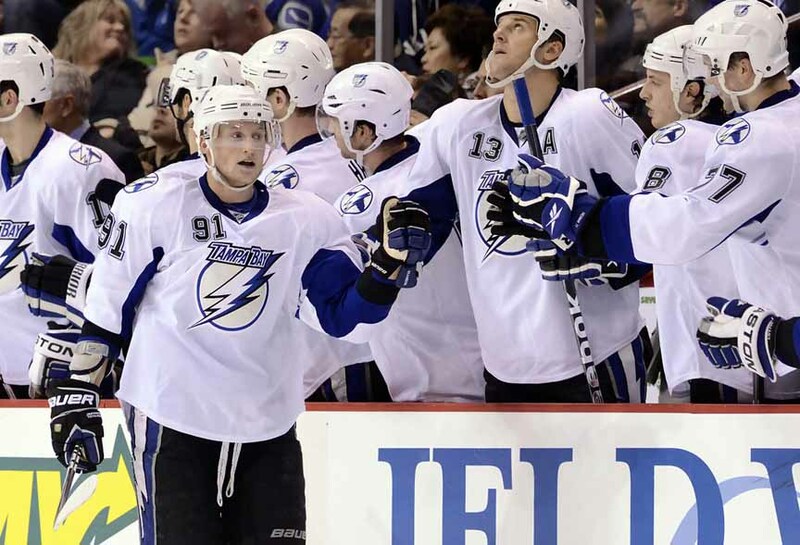 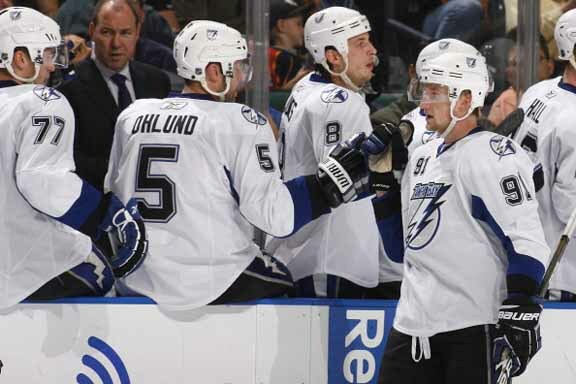 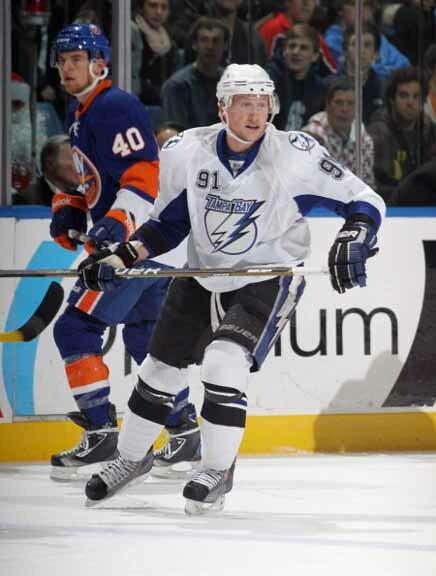 Stamkos has two 2nd Team NHL All Star selections at Center and has played in two NHL All Star Games. 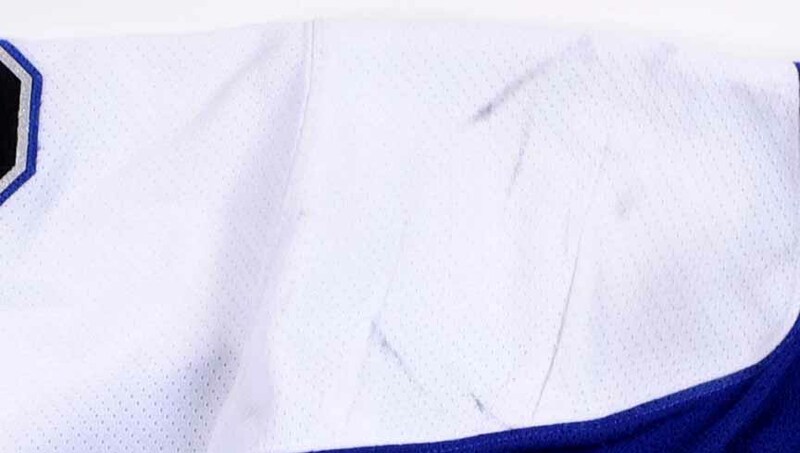 The game wear on this 2nd set size 56 sweater is solid and consists of stick and slash marks, board burns, colorful board paint transfer, un-repaired burn holes, pilling and some team-sewn repair work that includes a large rectangular patch job on the lower front hem. 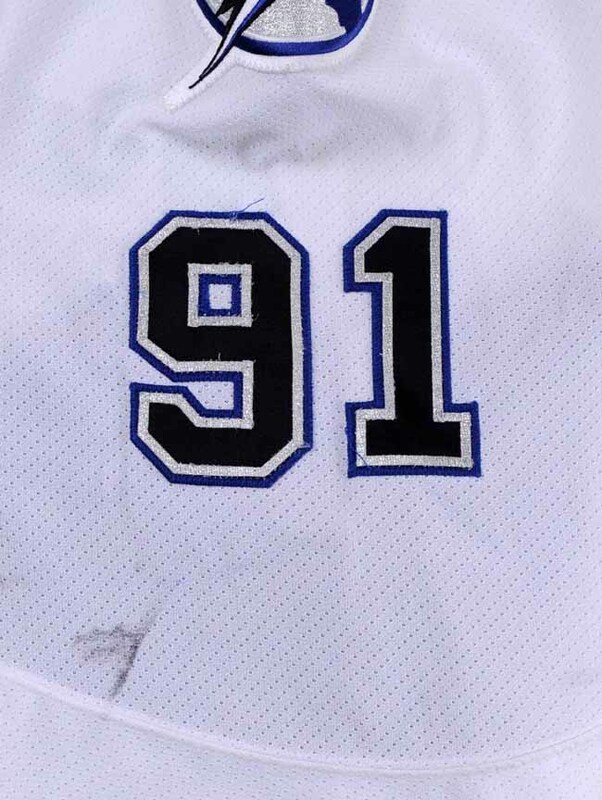 Sewn to the inside hem is the official Tampa Bay Lightning game worn jersey and set tagging. 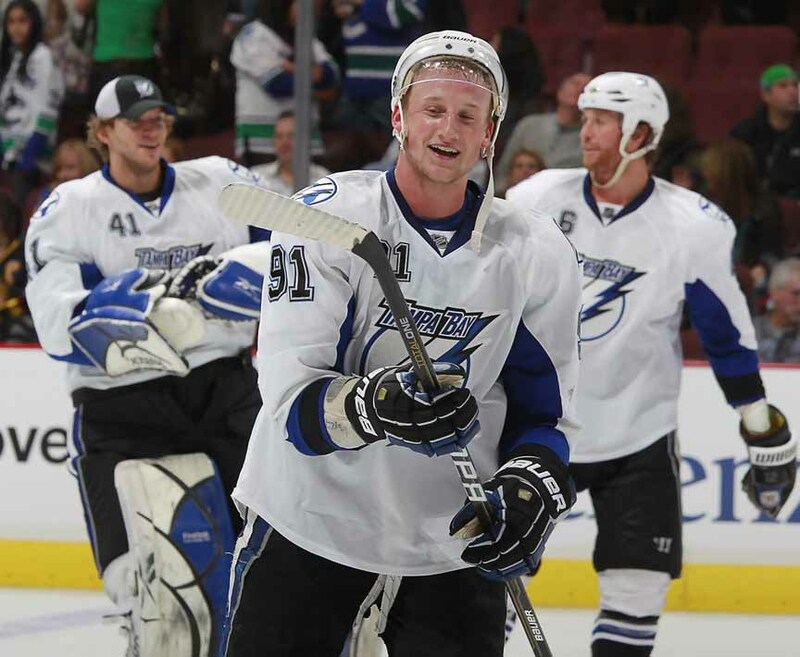 Shown above are a plethora of beautiful photo matches that span the months of November 2010, December 2010 and January 2011. 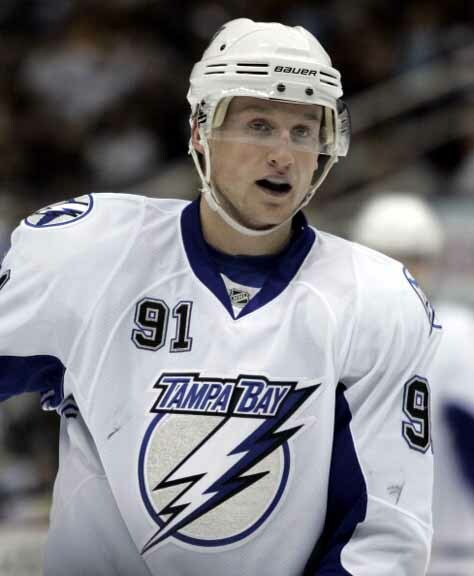 This gifted goal scorer lit the lamp plenty of times while wearing this spectacular jersey. 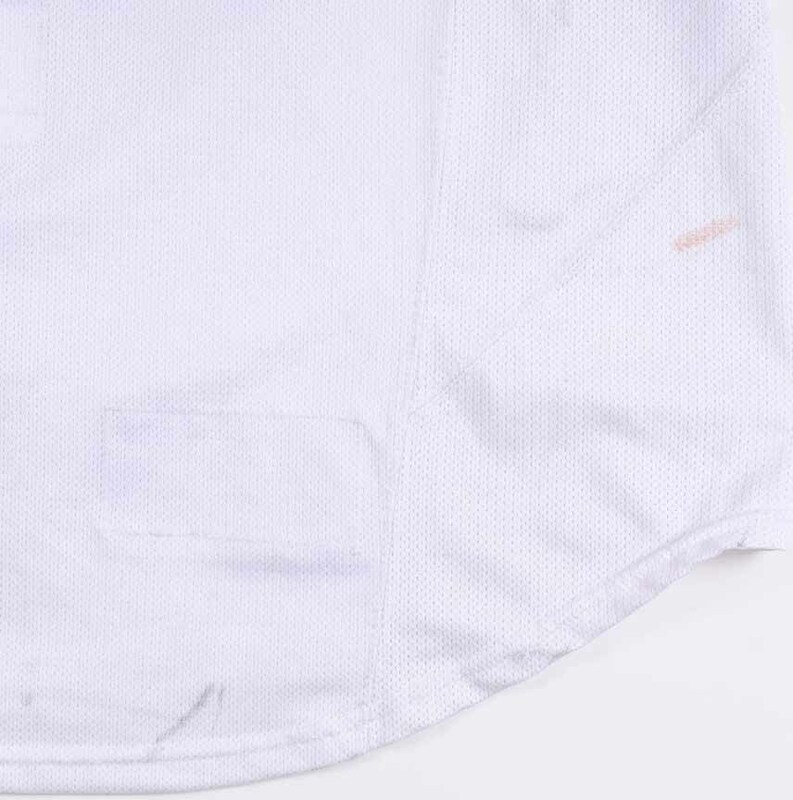 Major identifying marks include the slash mark alongside the crest, another slash mark on the left sleeve and the rectangular patch backed team sewn repair work to the lower front hem. 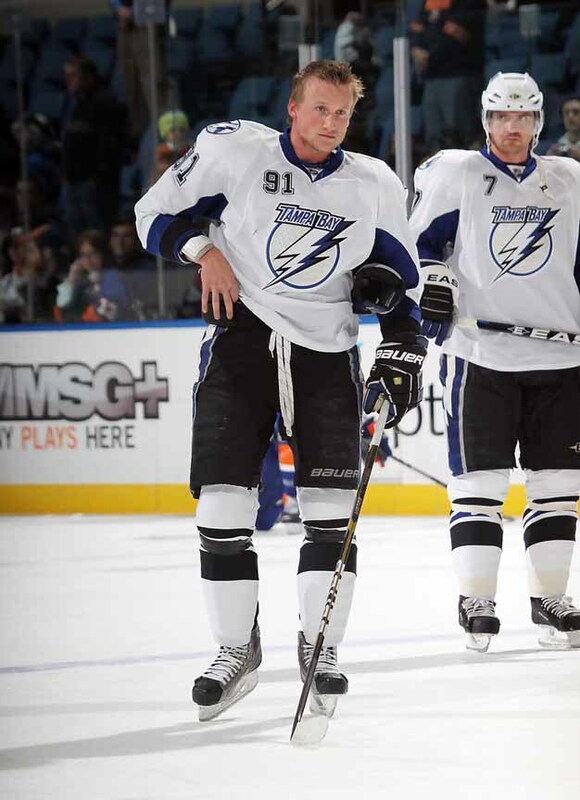 A disc containing all of these photo matches will accompany your purchase. 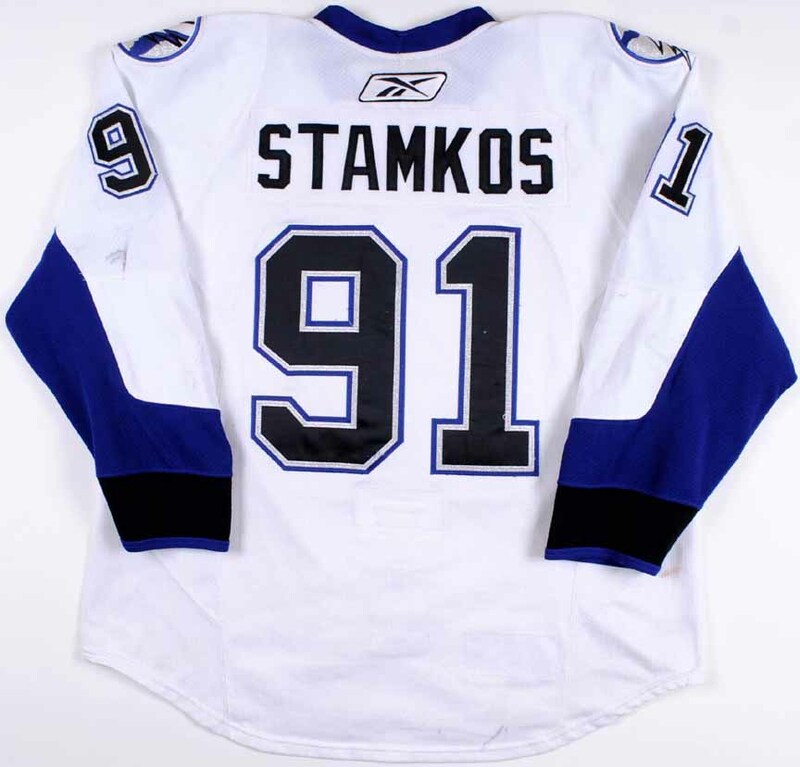 This is the first Stamkos gamer that we’ve ever had the privilege of offering and is in fact the first Stamkos jersey that we ever remember seeing offered at auction. 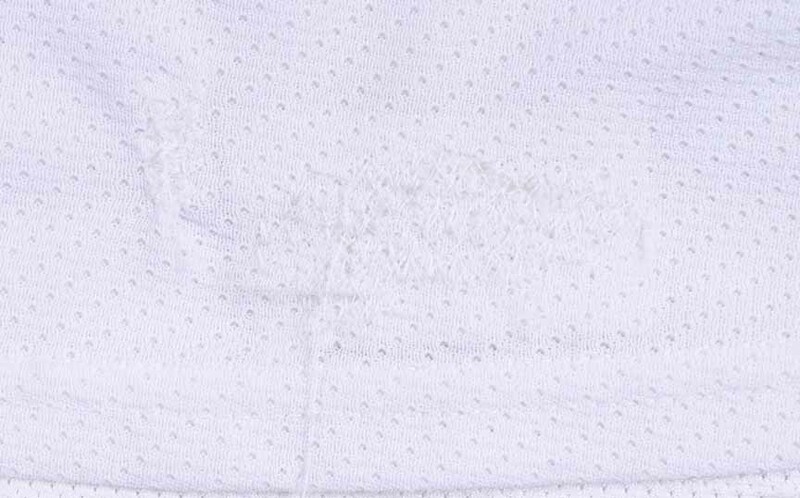 This well-worn heavily photo matched sweater will become an instant cornerstone item in any of the finest modern era collections, good luck in your pursuit of this choice offering!